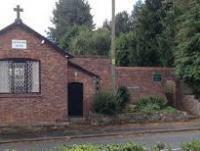 The Tarporley Group now meets on the first Wednesday of the month at Little Budworth Village Hall, starting at 7.30 pm. All visitors are welcome. We do not have a meeting in January. We sometimes have a trip out instead of meeting at the Hall. Click on Group Events to check what we are doing.